*ExceLLenT QuaLiTy~ Very HappY with This ViT D! Pleasant taste and easy to take. More importantly my Vitamin D levels increased with this product. I have used this product for many years because it is effective and tastes good. It was recommended when I was undergoing cancer treatments. Recommended by my family doctor. Nice, light citrus taste. Convenient metered drops. Fair price. Great product, nice taste....easy to give to the kids as well. I order this product often. It is a perfect way to get my required dosage of Vitamin D. I like the citrus flavour. Great Product. Very economical. 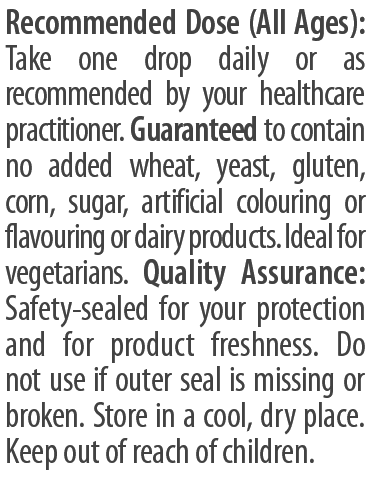 Also great delivery if Vit D. Drops can be put on back of hand and licked off. ( I was told to do that by my Naturaupath), no mirror needed. Also the citrus tastes great. Never tried the spearmint. This item is one Iâ€™ve repurchased time and again. It tastes good, fast acting and convienient. Itâ€™s on my naturopath recommended to me and has been getting me through the dark winter months! This is great for babies and kids. I especially love that it comes in a squeeze bottle. With other brands you have you shake the bottle to get a drop, and the drops often land on a squirmy baby's chin, lips, or cheeks. The squeeze bottle is much easier to control because you don't have to shake out a drop into a moving target. This product is my favourite way to get my Vitamin D supplement. The citrus flavour is the best! 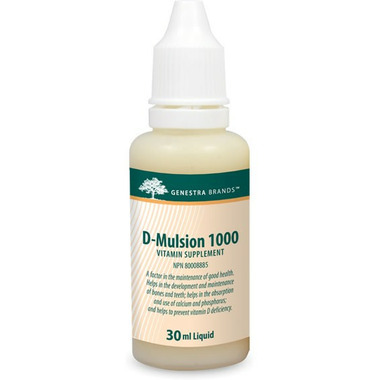 Genestra D-Mulsion 1000 is a healthy, excellent option for obtaining sufficient Vitamin D3 at an affordable price.